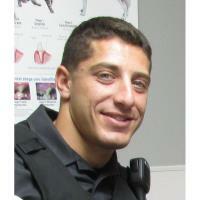 The Olney Chamber of Commerce has established a scholarship fund to commemorate the life and passion of Police Officer Noah Leotta. The Chamber has proudly made a $500.00 donation, and is asking residents and businesses in the greater Olney area for their support. On December 3, 2015, Leotta, a 24-year old Montgomery County (MD) officer, was struck by a driver suspected of driving under the influence of drugs and alcohol. On December 10 he succumbed to the injuries he sustained. On the night that he was struck, Officer Leotta was working as a member of the County's annual Holiday Alcohol Task Force. These officers devote their full time and attention to detecting alcohol-related offenses during the holiday season. The hours on the task force are not ideal - nights and weekends - but Officer Leotta actively sought this assignment. The "Officer Noah Leotta Act Responsibly Scholarship", in the amount of $1,000.00, will be awarded to local high school students committed to pursuing public safety and/or law enforcement careers. Applicants will be evaluated on leadership, civic and volunteer activities, as well as academic performance. Strong consideration will be given to essays demonstrating their belief in, and commitment to, the ideals embodied by Officer Leotta. add memo - "Ofc. Leotta Scholarship Fund"
*The Community Foundation for Montgomery County is a registered 501(c)(3). Donations are tax deductible based on individual eligibility. For eligibility, consult an accountant or tax professional. To increase awareness of this scholarship campaign, share this message with friends, family and business associates via social media. Contact the Chamber office with questions, or for more information.